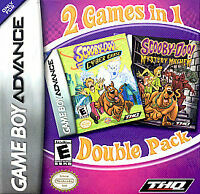 This review may or may not be filled with a tiny bit of bias, but in my opinion this is my favorite game out of the Nintendo Gameboy Advances library! Something about meshing a cute and friendly story about teens in a Tennis Academy training and working their hardest in order to face off against Nintendo All-Stars during the final chapter of the game really tickles my fancy! Plus it's mixed with the tight sports gameplay controls nintendo spinoffs have come to be known for! What's not to love!? I bought this game for my 12 year old son to play on his GBA SP. (His other brothers- ages 13, 11 and 4- also like it. He had played the demo in the store and really enjoyed it. He likes it alot because there are various ways to play the game, so it is never boring. He likes that he can chose his control levels...simple, normal, and technical. This makes for more variety of play. He also enjoys having the ability to chose his own upgrades. The colors are very vivid. My son claims that the graphics are "better than most other GBA games" that he has or has played. All in all this was a very good purchase. 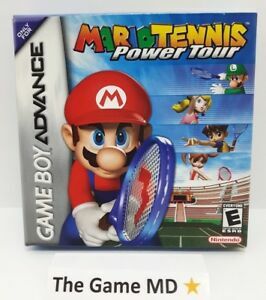 I loved Mario Tennis for the Gameboy Color way back in the day, and purchased this game to relive some good portable tennis. Overall it is still the same game I remembered, but it doesn't seem to be as fun as I remember it being. If you played the GBC game it is essential the same, with updated graphics of course. Overall though if you like tennis or Mario sports games then I'd recommend this game. Bought this as a gift for my sister, and it runs way smoother than you'd expect a GBA game to run! My 8 year old son loves this game. It is easy to learn how to play and keep him entertained. We purchase this game because our son had it on his Christmas list.